Noted singer Shahnaz Rahmatullah was laid to eternal rest at Banani military graveyard in the capital on Sunday afternoon. She was laid to rest at around 2:40pm at the graveyard after her namaz-e- janaza held at Park Mosque on road no. 9 in Baridhara after Zohr prayers. Earlier, Shahnaz Rahmatullah died of heart attack early Sunday at her Baridhara residence in the capital. She was 67 and survived by one son and one daughter. The prominent singer’s notable songs are “Ekbar Jete De Na Amar Chotto Sonar Gaye, Je Chilo Drishtir Shimanay and Ek Tara Tui Desher Kotha”. Her main area of singing entails modern (Adhunik) songs and patriotic songs. She emerged as a singer in Dhaka in the mid-1960s. In late 1960s and early 1970s, she sang many patriotic songs including Sohni Dharti Allah Rakhe and Jeevay Jeevay Pakistan to inspire the freedom fighters as well as freedom seeking people of the country. 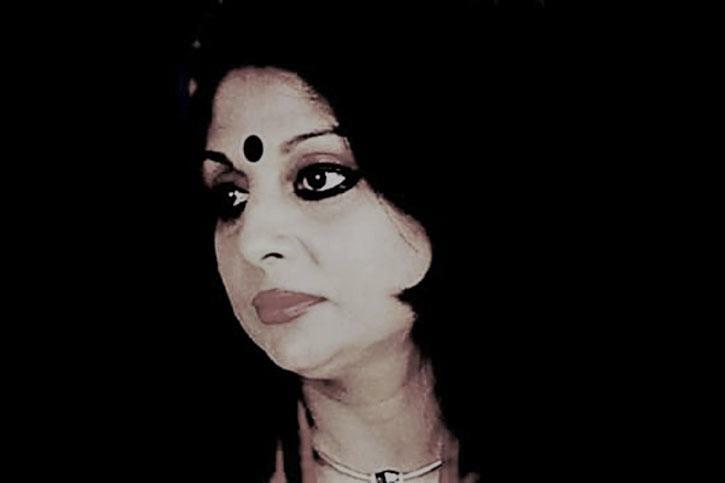 She was honoured with Ekushey Padak in 1992 and Bangladesh National Film Award for Best Female Playback Singer for the film Chhutir Phande in 1990. Shahnaz was born on January 2, 1952 in Dhaka. Actor Zafar Iqbal and music director Anwar Parvez were Rahmatullah's brothers.